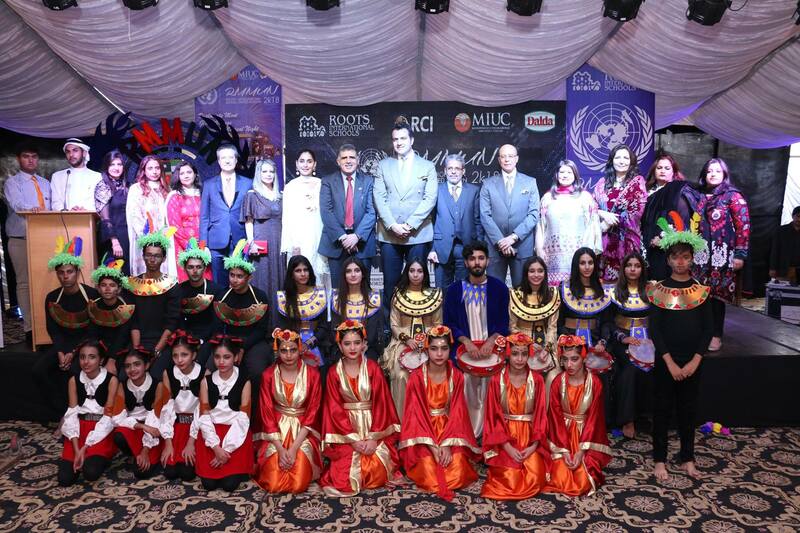 The Roots Metropolitan Model United Nations 2k18 commenced with a grand inauguration ceremony. Theme of this year is Time to Act Time to Change its Your World. 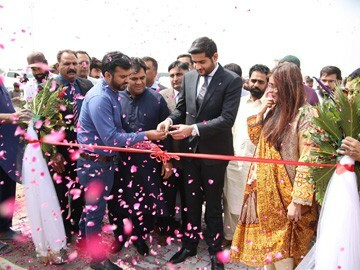 The ceremony was officially commenced by the speech of RMMUN Secretary General Fahad Younis, followed by speech by the advisor to the president Gulrukh Hassan .Students from various campuses of Roots International Schools gave electrifying performances at the inauguration ceremony. Ceremony integrated mesmerizing Chinese, German, Turkish, Egyptian, African, Brazilian and other global ethnic presentations by talented students of the Roots International Schools. 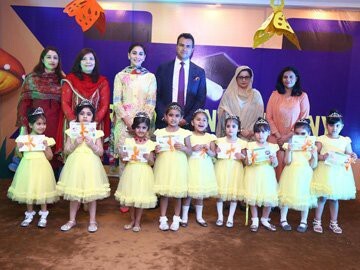 Performances by students depicted and highlighted diverse colors of different ethos. These representations incorporated cultural harmony and peace around the globe. 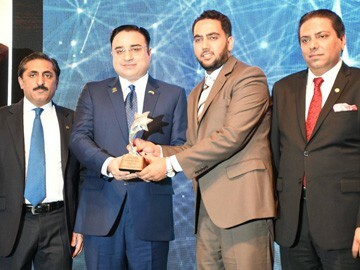 The presentations were meticulously appreciated by all the honorable guests as well as the delegates. 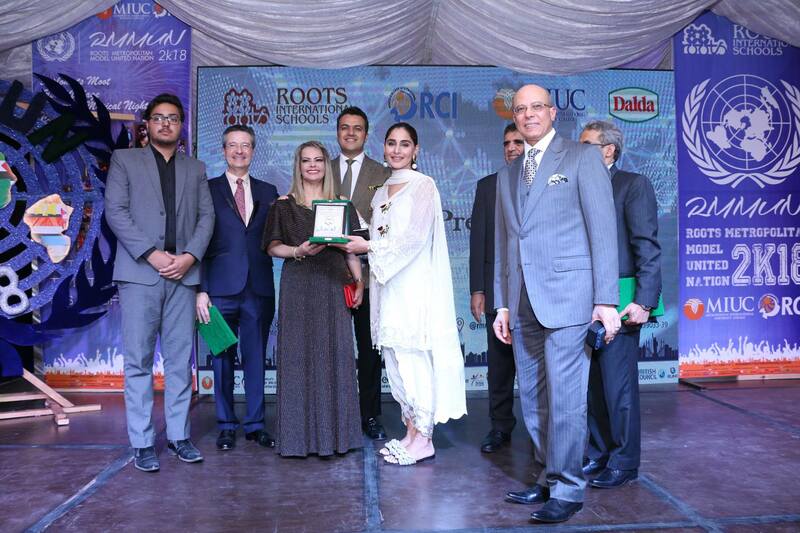 On the occasion, Ambassador of Brazil to Pakistan H.E Mr. Claudio Lins and Mrs Zu Lins , Ambassador of Egypt to Pakista H.E Mr Ahmed Fadel Yacoub, H.E Mr. Mohammed Motahar Alashabi, Ambassador of the Republic of Yemen to Pakistan, Cultural Counselor of Jordon Mr. Mahmoud Ogla Baniata, H.E Mr. Andrei G. ERMOLOVICH Ambassador of the Republic of Belarus to Pakistan and Deputy ambassador Vladimir N. Papsuev g Vladimir N. Papsuev graced the occasion with their presence. 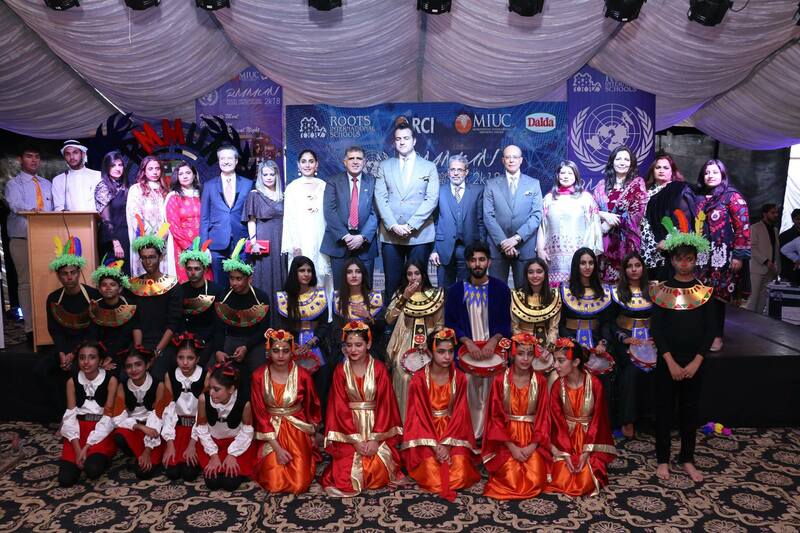 As many as 2000 delegates from across Pakistan are participating in the Roots Metropolitan Model United Nations 2018 Conference and they will discuss multilateral issues including economic reforms in Pakistan, security, women rights, climate change says a press statement issued here on Thursday. Model UN simulates the actual workings of the United Nations and related organizations. An excellent way to acquaint young people with the inner mechanisms of international political structures, MUN affords competitors an in-depth look at the subtleties of the United Nations.Participants, known as delegates, take the roles of UN diplomats from various countries and must faithfully represent their adopted country’s views on a given topic. Those who excel in debates while consistently representing their country’s views on the necessary issues are considered outstanding delegates. 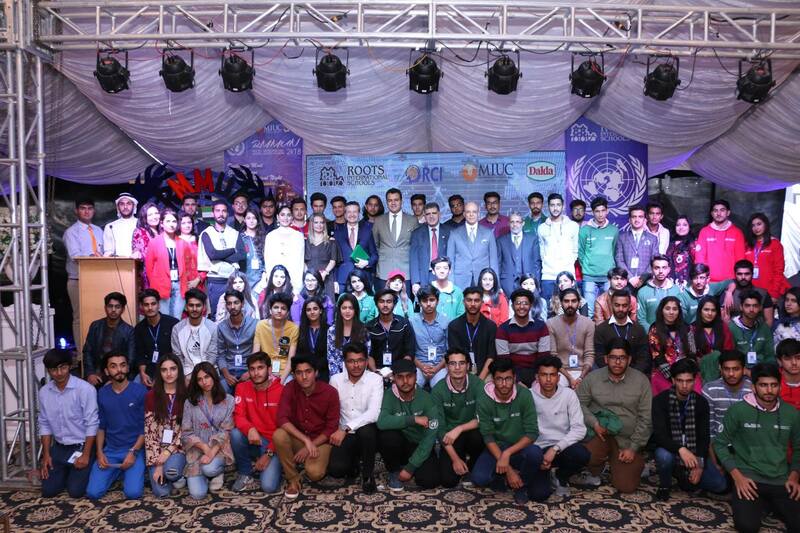 While addressing the audience, ambassadors emphasized the importance of such events in providing excellent opportunities to students to gain knowledge and to sharpen their skills. 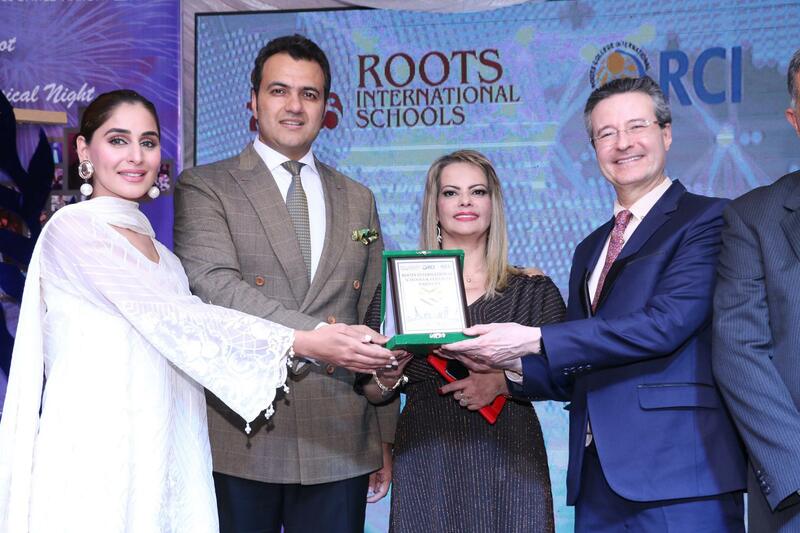 In his address H.E Mr. Ahmed Fadel Yacoub appreciated the efforts by Root International Schools for holistic development of students. H.E Mr. Andrei G. Ermolovich stated how RMMUN provides a unique chance to all participants to develop their communication, negotiation, and cooperation skills and also sharpen their sensitivity and critical thinking in understanding many of the world’s conflicts and problems. All the ambassadors appreciated the students’ efforts and highlighted the expectations they have about the impending four days and motivated students to accomplish with the same enthusiasm and vitality. 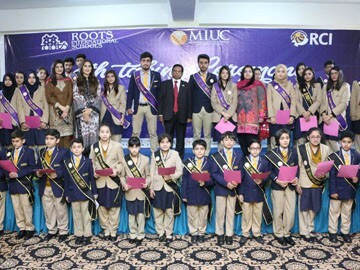 While addressing the attendees CEO Roots International Schools Mr. Walid Mushtaq welcomed all to the conference and briefed students about the conference and how RMMUN helps students practice and refine their skills in diplomacy, public speaking, negotiation, research, problem solving and critical thinking, students learn to identify form opinions, come across new ideas, question believes , accept criticism and practice mediation. 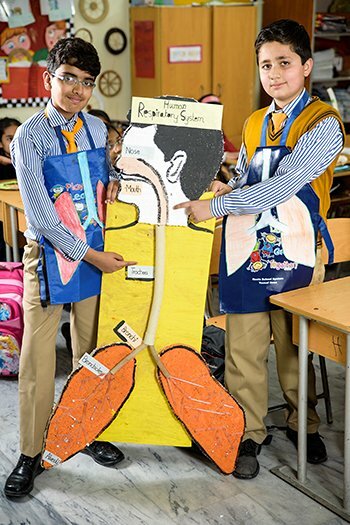 It is important for students to engage in such activities apart from their academics. 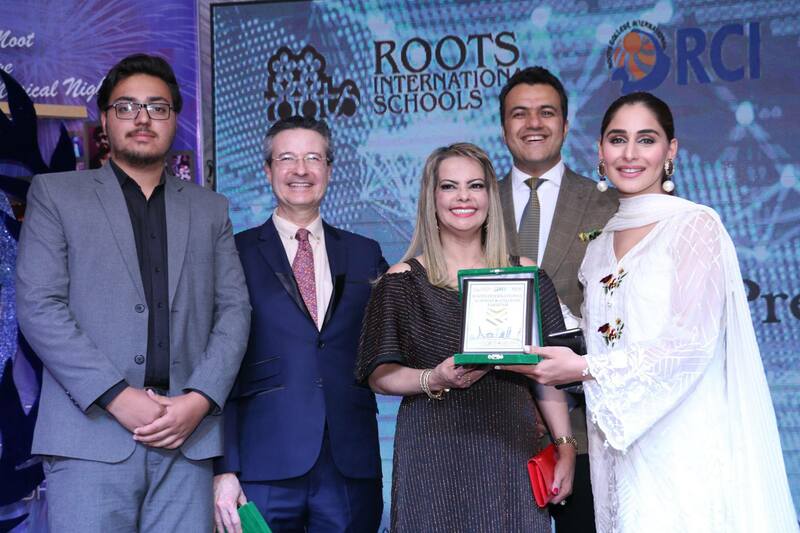 As an institution Roots International Schools has always focused on providing its students with an unmatched experience for their holistic development, and their efforts have been evident with their student excelling in their lives and reaching new heights. The opening ceremony was followed by the colorful and rich cultured ‘Global Village’, where all the delegates signified the countries they had chosen for debates. 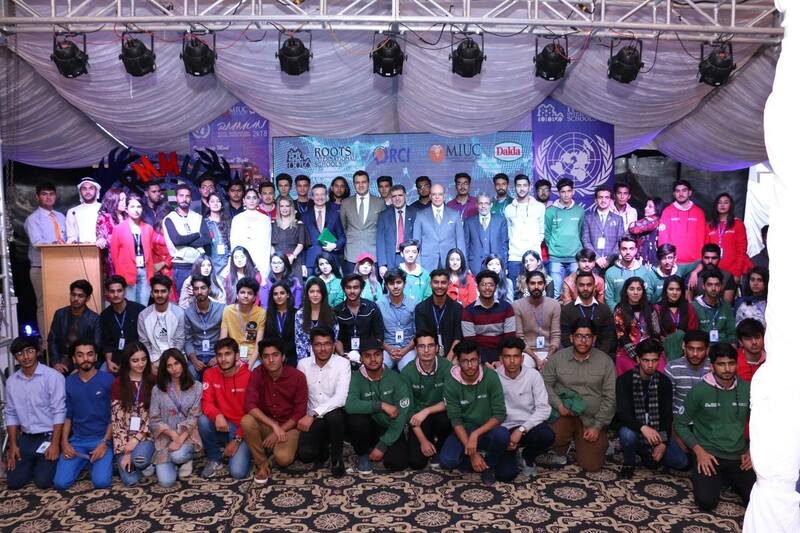 The Global Village stalls and appearances were adjudicated and marked by Panel. In this episode delegates colored the floor with the cultural and traditional aspects of their respective countries. The fashion fiesta added vibrancy to the evening and the ramp walk added an extra spice. 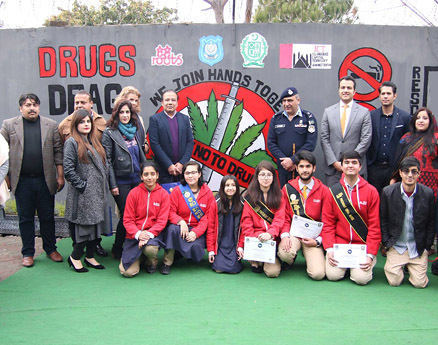 The jury consisted of the diplomats from different embassies in Islamabad.